There are 5 reviews of Vanitas. I am an avid perfume collector. Everything that I own, which is more than 10 people could use in a lifetime, was a blind buy. I rely heavily on this site and the other one to decide whether it is something that I want to buy. I live in the mountains of WV, and while it is BEAUTIFUL here, I don't have any shopping nearby, not even a Sephora. When I started collecting a few years ago (because I quit smoking---as a reward to myself), I stuck to everything that is mainstream and available at Macys. Everything pretty much safe. Looking back, I think I purchased every Versace available as well as Gucci. Versace in general (to my nose) is far far better than anything Gucci (aside from their OUD). The Gucci scents somehow all smell very very similar to my nose and none aside from the oud, have any projection or lasting power on me. 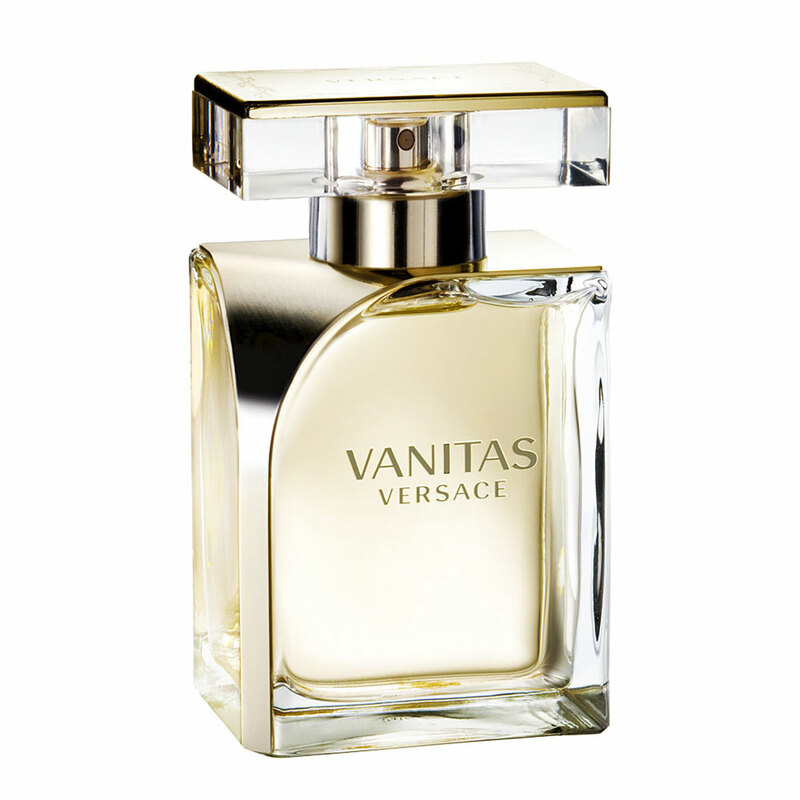 This Versace Vanitas EDP is a rare exception to my opinion that most of the mainstream frags are kind of a waste of money as they are somewhat boring. This one bottle of Versace made all of the prior Versace disappointments all worth it! This is definitely a staple in my collection that I will never live without. My favorite dept store frag is Chloe New or Chloe Chloe and this one reminds me of Chloe very much. It must be the freesia? Not good at explaining or comprehending notes yet, even after 3 years. lol. This one is definitely the exception. It was never really talked about and didn't seem popular at all, and that is shocking as it is by far the best Versace for women that I have tried. Cannot get enough of this. I think that the biggest disappointment and on the more expensive side was the Eros edt and edp. Smells like nothing but a perfumy fake nothing. Those are exceptionally boring (along with Gucci Flora line). If you are a person that feels as I do about the nothingness of most store popular frags, you may also be surprised about this one. A true gem! Wonderful for summer, Vanitas EdP is simple but not at all boring. The strong lime top note mellows pretty quickly and blends with a perfectly balanced tiare and freesia heart. The cedar and tonka are whisper-light, providing enough ground for Vanitas to bloom. At first (and simply based on the notes - I know, I know), I thought it might be redundant to own a bottle of Vanitas when I already own Terracotta Le Parfum, but they are quite different, and I definitely plan to pick up a bottle. Terracotta has a warm, musky sunscreen vibe while Vanitas' white flowers lightly flutter across the skin. Terracotta is a tan woman in a bikini on the beach, and Vanitas is her sister who prefers a white sundress, wide-brimmed hat, and a seat on the patio under an umbrella. Vanitas EdT is also quite nice. Rose petals, osmanthus, and tea replace the lime and tonka, making the EdT more of a tea rose a la (new) Chloe EdP. It’s very nice. Subtle work. Fruity and floral in a different way. Savoring VANITAS is like seeing the girl-next-door all anew; maybe it is something she did with her hair, maybe the light casts shadows to her face just so, maybe you never noticed her warm inviting smile before,but you suddenly realize she is the love of your life nd it is all good.VANITAS is a beutiful soft scent. Floral,Creamy,Sweet,Elegant,Cute,Youngish and Modern. Lime is quite dominant in the top notes which embrace the heart notes of tiare flower and freesia and a soft and creamy base notes of virginia cedar and tonka bean create a nice scent that it enhances you by not offending with heaviness,but satiates and titilates leaving your own personal essence to tempt the audience. 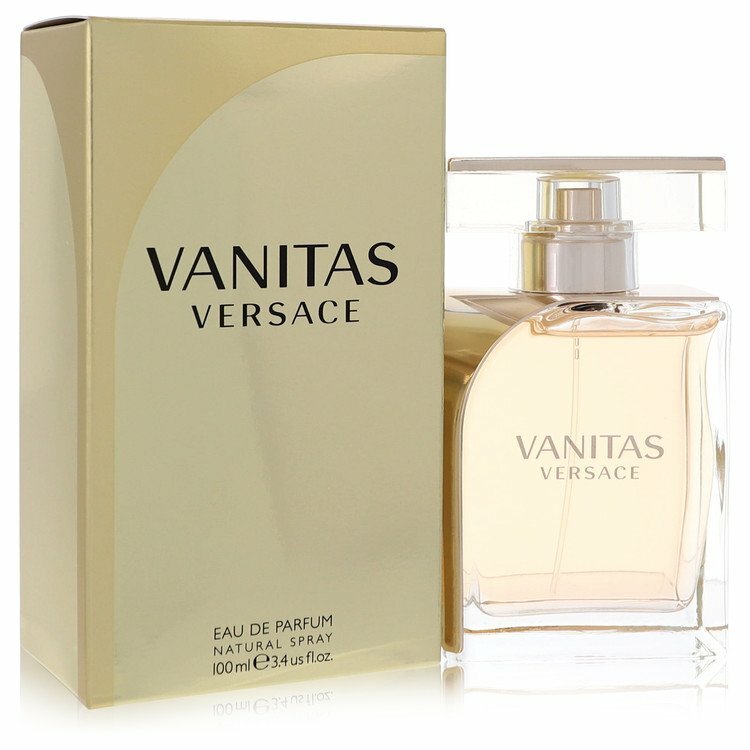 VANITAS is a great choice for anyone who likes a clean,crisp and erthy floral scent.It is perfect for casual Spring/Summer day as well as the Intimate occasion.It is not too overpowering.In my mind This kind of perfumes can purchase for someone even if you dont know their taste as these are inoffensive. VANITAS is definitely for a modern young lady. Totally I prefer something more sophisticated. Another citrus-floral-sweet one. The lime is quite nice though, as is the freesia note, but the vanilla base very synthetic on my skin. Very poor silage and projection, and gone after two hours. Not taken by it. LOOK!!! 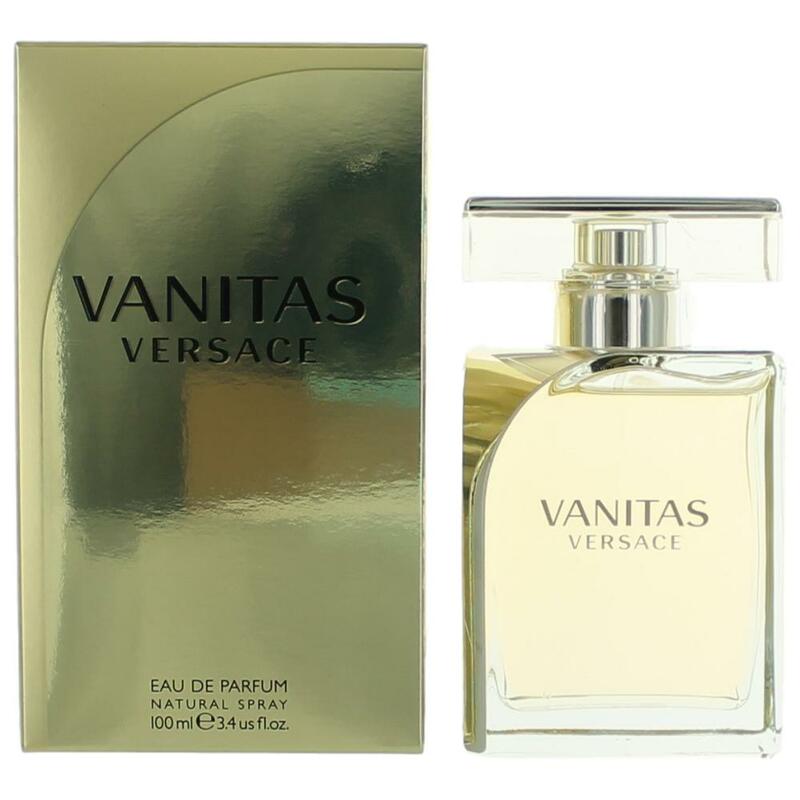 VERSACE VANITAS TESTER TOILETTE SPRAY 1.7 fl oz 50ml NEW UNBOXED W CAP! !